Indian passport holders ordinarily need a visa to visit South Korea (except Jeju island). You can apply for a visa at the nearest South Korean consulate and receive a 90 day visa fairly quickly. Most nationalities, even those that need a visa to visit South Korea, do not need one if they visit only Jeju island. 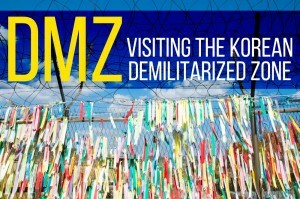 … there’s also a little known way of visiting the rest of South Korea without a visa for up to 30 days! This doesn’t just apply to Indians but most nationalities that require a visa to visit South Korea. The only nationalities that this does not apply to are: Macedonia, Cuba, Syria, Sudan and Iran. 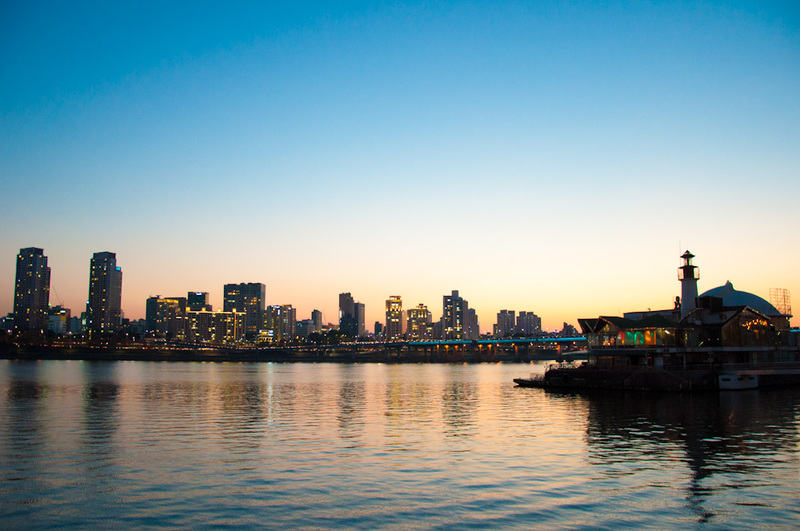 If you are transiting South Korea on your way to Europe, USA, Canada, Australia, or New Zealand, then you can spend up to 30 days “in transit” without requiring a South Korean visa. You must have confirmed onward tickets within 30 days. The flights do not need to be direct and do not need to be on the same airline. However, you should get to your final destination within 3 days of eventually leaving South Korea. So a flight like India->South Korea->Doha->Madrid is fine. As long as you reach Madrid within 72 hours of leaving South Korea. You must ALSO have a valid entry visa for your final destination. So a US, Canadian, Australian, Kiwi, or European visa should be in your passport. Alternately, if you have a residence permit for one of the above territories, that should also work. You can also transit South Korea for up to 30 days on the way back from any of the above territories, however an additional constraint in this situation is that you must have a direct flight to South Korea from one of the above territories. So if you are flying USA->Japan->South Korea->India – that’s not alright. You need to fly USA->South Korea->Anywhere. How do I know this works? I just used the exemption to visit South Korea! My experience when I arrived in South Korea was great, but if you’re visiting from India, be prepared to answer lots of questions before you get to leave India. However, depending on where you are departing from, you may have to answer some questions for the airline check-in staff and immigration. As this is a little known feature of South Korean immigration law most airline check in agents and immigration officers at your departure airport will not know about it. Of course, in India, airline check-in agents are typically much more stubborn and so are immigration officers. The good news is that the airline information systems (TIMATIC) that carry visa and travel info do have information about this Korean law. So if you meet a stubborn check in agent (I did) all you need to insist on is that they check their airline information system. When I got to the airport in New Delhi, I already knew that nobody in India would know about this rule. I also fully expected that they will stop me and ask me one thousand questions about this. My expectations were met, and exceeded. At check in, the Asiana agent was absolutely firm that I needed a visa. I had printed out a copy of Asiana’s OWN information system saying that I could travel (you can see this in the picture below). I showed him my onward flights and my Schengen visa. Yet, he kept insisting “It says here you need a visa”. So I showed him the printout. Inspite of putting this in front of his face, he insisted “It says here you need a visa”. I replied, “Have you looked at the paper I’m showing you?”. “But it says you need a visa”. So I repeated as calmly as possible again “Can you please check further? Click on the thing that says more information”. At this point, he realised that I knew what I was talking about so he went and called his supervisor. The supervisor was a really nice guy. I explained the situation to him, said that this is a little known feature of the immigration rules but the airline information system reflects it and the supervisor said “Please check them in”. Then we went off towards immigration. After a short wait one of the immigration officers called us over. This guy didn’t even know how to work the computer in front of him. He asked me about the Korean visa, I explained the whole thing to him again. He entered my passport info wrong in the computer, scanned Zara’s boarding pass with my passport and then when I asked him about that he said “Oh, it’s fine, you guys are traveling together”. To which, the guy next to him said “No, you need to reset it and scan it again”. He looked back at his system “Oh.. how do I redo this?”. “Press Control R”. “Oh … ok”. Then he asked me about my surname and asked me if I was from Bengal. I told him no, I’m from Assam. He kept insisting that my surname was from Bengal. After that, he refused to believe my Schengen visa was real and put it into the UV scanner. Ten minutes went by and he was still struggling with his system. Finally he gave up and told me to go over to the other immigration guy sitting next to him. The next guy asks me again about the Korean visa. I tell him the whole story once more. He then asks me “Do you have any letter or something?” Now, I knew that this might come up so I came prepared. I had the printout from the airline information system. In addition to this, I had also printed out the web pages from the Korean immigration service regarding the rules. I had also taken a printout in Korean just in case the immigration officer in Seoul didn’t know about these rules (they did know). I showed them to this guy. He spent about 5 minutes reading them really carefully. Then he says “Okay, I’m letting you go but if you face any problems it’s all on you. We’ve never heard anything about this type of rule”. So I said “That’s fine”. He stamped me out, and we were finally on our way! After this, we were lucky to have a super empty flight. Just 90 people in an A330-300 aircraft. Wonderfully comfortable and we soon arrived in Korea. Korean immigration was a breeze. I walked up to the officer, said Hello and explained that I am transiting through Korea for 12 days on my way to Europe and showed her the printouts of my confirmed tickets onwards. I also showed her my Schengen visa. She asked me “Your final destination is Portugal?” and I said “Yes”. That was it, she stamped me in for 30 days and wrote under the stamp (in Korean): India-Korea-Portugal. The Korean embassy in India told me that I would need a visa if my final destination was Europe. This transit visa exemption has existed for a long time for travellers going to the US, Canada, Australia, and New Zealand. The Korean embassy in New Delhi knows about this and will confirm that you can visit Korea without a visa for up to 30 days if you’re going onwards to these 4 countries. However, the Europe rule has only been added recently (March 2017). So, the Korean embassy in New Delhi told me I needed a visa to come to South Korea if I was flying onwards to Europe. Unfortunately, there’s sometimes a lack of communication between various agencies. I knew the rules that Korean immigration had directly put up. I also knew that the airline information systems reflected the rules from Korean immigration. Unfortunately, the Korean embassy in New Delhi hasn’t updated themselves. Also, the Korean embassy in Australia has published the updated rules on their website (click on the notice that’s titled: Transit tourists bound for another country). I still wasn’t convinced, especially after I had received a negative response from the Korean embassy in New Delhi. My experience had taught me though that consulates can often give out wrong info since government agencies don’t always work in sync with each other. So I decided to email the Korean consulate in Australia. They sent me the direct number of the Korean immigration service and asked me to double check with them. I called the Korean immigration service over the phone and they confirmed that this type of transit visa exemption does indeed exist for Europe bound passengers of most nationalities. That was enough for me. We packed our bags and finally arrived in South Korea! Overall, it was worth it since we spent about 30 minutes extra at the airport in India repeating the same information at check-in and then immigration and we had to take some extra printouts with us. It also fit in neatly with our plans of traveling onwards to Europe. Definitely beats applying for a visa any day. 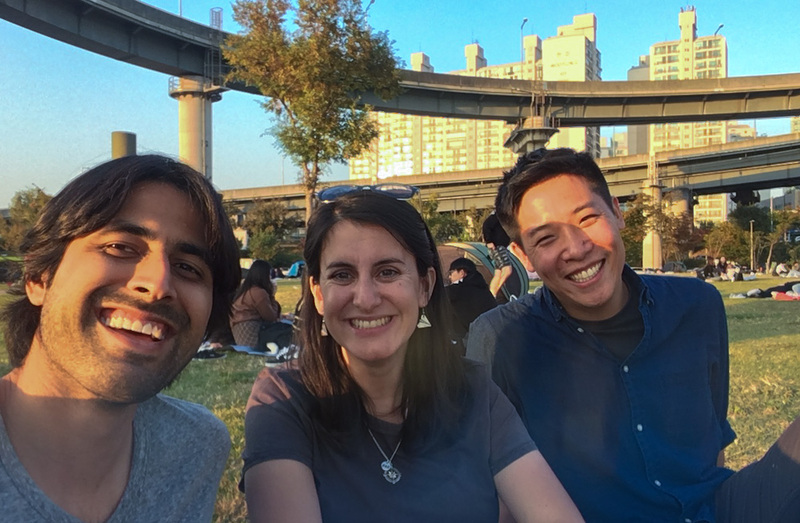 Enjoying a picnic of Chimaek at the Ttukseom Han River Park… even though the South Korean Embassy in Delhi didn't think this was possible! If you aren’t leaving from an Indian airport, you shouldn’t face most of the issues I had to face. However, it’s always good to be prepared and still way better than spending time and money to apply for a visa beforehand! Amazing information …thanks for sharing ..
What happened Yuva? Did they let you through? One need to really ask if they actually have the authority to stop you for any arbitrary reason possible? I can’t describe the utter and complete incompetence of the Indian immigration agents at Indian airports. What’s worse is that they use their power to threaten genuine travelers from travelling abroad. If you happen to have an Indian passport, these guys fully abuse their power and tell you that they won’t “let you go”. I’m an avid traveler and love to travel often and dealing with these guys is always the worst part. U r really an inspirations to many Indians and you are so informative. I always get excited to visit the countries you travelled after reading your blog.You guys are spending too much of your time/money and help us saving the same!! I tried this from Oita airport, Japan. I think some aircraft carriers despite not following the immigration rules. This time it happens to be that the transfer service between air carriers is not there so they didnt allow me to board the flight and said only transit of less than 9hrs could be taken for travel through Seoul. Defying all odds. What airline was it and did you ask for an official reason for denied boarding? 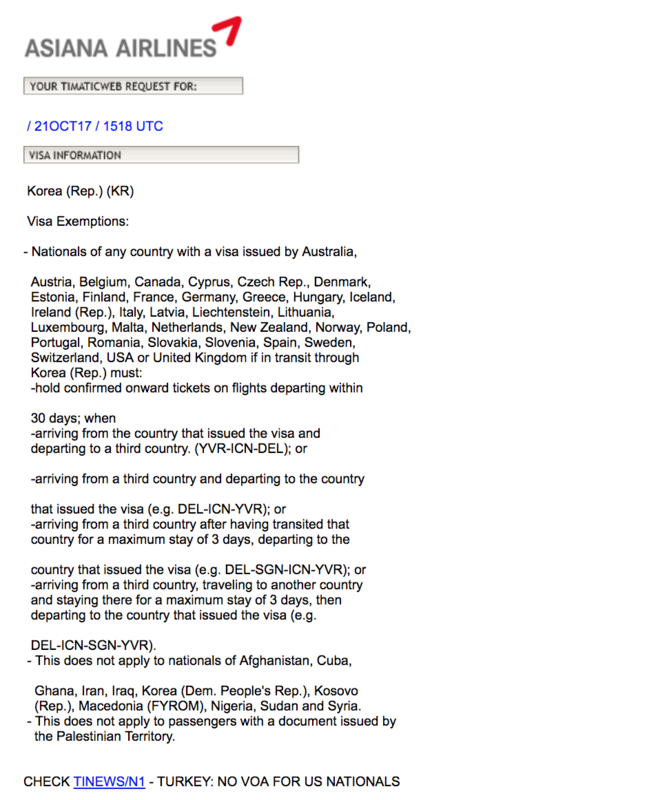 They can usually look up visa info like this in the TIMATIC system and almost every major airline uses it. its a korean aircraft, they asked me to directly to take the next flight to USA with out entering seoul – however they upgraded me to a better fare and rebooked me for free today…so its a risk to take, if it hasnt worked as planned. They did look up TIMATAC, some times ithis 3hr window of checkin is too insufficient to decide and move several countries immigrations opinion – exp whn i am taking a route through north east asia. – japan-southkorea-china-usa. that way i think you got a better treatment from Indian counterparts. They do have no communication issues. however have you known the local langauges fluently here, may be they will allow here in north eastern asia too. It may be better to get a confirmation from the airline beforehand over email and then carry a print out with you. At least then they can somehow re-confirm internally. Yes, communication can be quite an issue in North Eastern Asia. We had some communication issues on our outbound flight from Korea but it all worked out in the end. Does anyone have any experience applying for a South Korean visa from India? I can’t get any info about the ITR forms they require. I got my Form 16s, are they enough? please reply I’m visiting South Korea and even the visa agents are not at all clear about what docs they need, is it the actual iTR V ( i dont have it) or just Form 16. I’m freaking out as there is less than 25 days for my journey and not yet sorted this one out. Facing the same problem. Was form 16 enough to get a visa to south korea? Trying this today in a few hours. Hope it works out! The document you shared is not the latest version of visa exemptions because it does not include the transit visa provisions for Europe bound tourists. The one from the Korean embassy in Australia (linked in the article) is more recent. You’re the best. Got an awesome trip from south korea out of it. Had zero problems at the asiana counter and immigration (luckily). I would not have looked into to if not for your blog. You’re right about the article. I don’t know, you should call them and ask them about it. Yeah you’ll get visa free entry. The flight only needs to be direct on the way back. So if you were doing Los Angeles->Seoul->Singapore->Bangalore that would not have worked. may i ask y lax-seoul-singapore-banglore wudnt work.. according to the webisite direct flight from us to seoul and then to anywer(including singapore or banglore) is eligible.. I don’t see why any of those itineraries wouldn’t work. Go for it! i am a indian passport holder..i am working in japan and have a workvisa of japan of 5 years.. I am flying from Tokyo to delhi with a layover at seoul for 20 hours. Do i need to apply for visa before flying ? Unfortunately Japan visa holders are not on the list of exemptions. They used to be there about 2 years ago but the rules have changed since. So you should apply for a visa before flying or stay in the airside transit area at Seoul airport. I have a similar question, flying Delhi to Tokyo with layover at Seoul . I have japan’s tourist visa. will i get visa on arrival ? I don’t think the Japanese visa exemption applies any more for South Korea. So you may not be able to exit the airport. Your website is absolutely amazing! I love everything I read here and am already planning my next travel, I am on my way back home but not really! lol Thank you for what you guys are doing! If only I could find a better way to book flights which are not round trips, that would be just perfect! Technically they allow you a single stopover of up to 3 days on your journey to the US/UK/Europe. I don’t know if an itinerary with multiple stopovers will work. You should call the Korean immigration service (number is in the article above) to make sure. I HAVE PLANING FOR VISIT JEJU ISLAND, I am a Indian TRANSIT to Delhi, MEET MY FRINEDS JEJU ISLAND, What is POSIBLE.. Thanks! This definitely helped! Now, time to plan my trip there. Very useful and amazing information you shared. Very helpful to my travel to many destinations. I appreciate. Thanks for sharing you experience. I’m planning to visit Seoul and Busan..for 1 week travel(just to explore my favorite country) from India.. So do I need anything special if i only visit from New delhi(India)>SouthKorea>New delhi..back..
You need to get a regular visa for South Korea. What’s are the average expenses there(Korea) on a daily basis Ashray? Like where did you stay, what did you eat? And how much did you pay for both on an average? You must have booked in advance, but then, how was the food? Both taste and expense? I would just like to know on an average. It really depends on what you do. 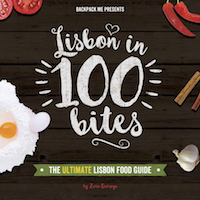 Food is quite cheap and you can find places to stay (hostels, etc.) that are quite affordable. Also, Seoul is way more expensive than other locations. So keep that in mind. I think $30 per day is easily doable. Are you a vegetarian by any chance ? If yes, how was the availability of vegetarian food choices there ? If no, any idea if there are vegetarian food choices available there ? In general there is no concept of vegetarianism but there are lots of Buddhist restaurants that are vegetarian. Also, there are some dishes like bibimbap which can be made vegetarian. There’s an event happening there where you can apply, and then visit. They would send you invitation if selected. It’s for a week, and then you can extend your stay for longer days. Just suggesting! I am planning to fly DEL-ICN-SFO and stay in transit in Seoul for 3 days. I have a US tourist visa,am I eligible. The notice in the website of Korean Embassy in Australia says that we must live in those 4 countries, but I live in India . Am I eligible for this ? Yes, it says in point 1 that if you are in transit, it’s alright. You can stay in Seoul for 3 days. Do I require a visa for a connecting flight (5hrs stop at ICN) If I hold an onward ticket to Japan? No, as long as you stay airside it’s fine. can i stay in south korea for more than 90 days? if ok, what is the type of visa? If you’re in India for a while I’d recommend to just get a visa to South Korea. It’s not really difficult at all and takes 3 days. You are supposed to be going to your final destination (the US, in this case) after South Korea and they may check at immigration when you leave. 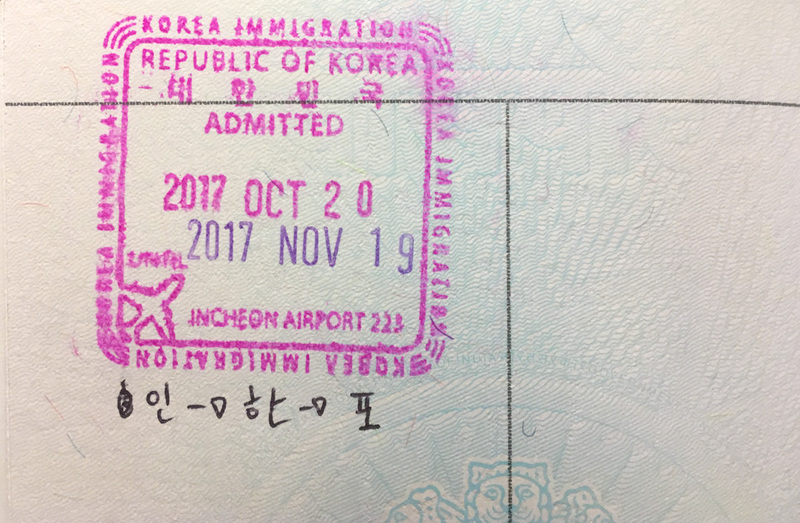 As mentioned in the article, they do write your itinerary details next to your entry stamp so if an immigration officer checks where you’re heading to at exit immigration it may be a problem because the rule is that you are allowed to go to South Korea as a transit point in your journey to one of those other destinations (US/CA/EU/AU/NZ). Thanks for the prompt answer. The main hiccup in my case is that I can’t produce a bank statement and work contract which are mandatory documents. I am a freelancer and work for cash. Hi, I am an Indian and I have been to South Korea without a visa holding US valid visa on 2015 and 2016. I have traveled from Chennai to Bangkok stay almost 15days and Bangkok to Seoul, Seoul to Los Angeles and return same way Los Angeles-Seoul-Bangkok(stayed 10days)-Chennai. Got stamp on my passport while going and returning in South Korea. *Well, here I have question is there anyone traveled to South Korea without visa holding Australia e-visa (As you know now a days Australian embassy in India stop giving sticker/stamping visa on passport) or anyone knows holding Australian e-visa can travel to South Korea without visa? So as per my understanding you should be fine for the return trip. However, I think you should confirm with the embassy if you want to transit visa free on the way to Australia. If you want a quicker answer, please call the number of the Korean immigration service on this page and find out. Interesting article. R u from Assam? Assamese from Assam or Bengali from Assam? You share the visa related useful information on this blog. 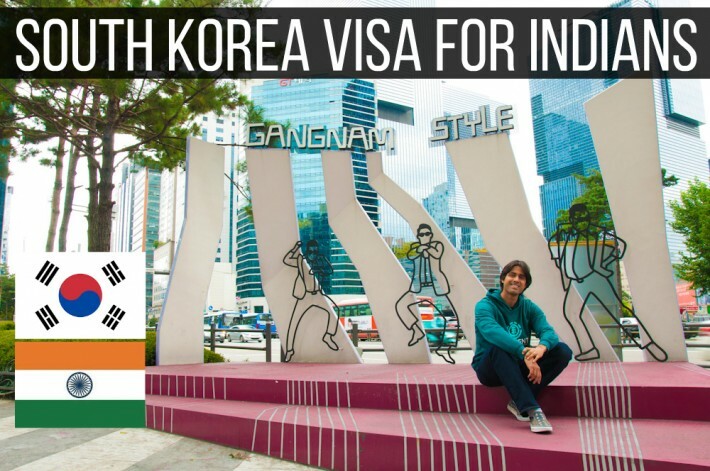 South Korea visa how to get don’t no the most of people but your blog share the right information about South Korea visa for Indians. Thanks a lot for this beauty Enjoying article with me. I appreciate it very much! Please read the above blog post. Hello, Nice article about visa.. keep posting new article.. Appreciate the thoroughness of this article. Keep up the good work! Such a nice piece of info! I am an Indian and currently in Vietnam. So if I want to fly from Vietnam to S. Korea to UK to India, will this policy work? Yes, the policy should be applicable. Did you read the article? It has the information you want. They don’t need a transit visa. but i have checked with a asiana airlines in delhi they said you need a visa of south korea if you want a check in at delhi through south korea to new zealand but Asked to south korea embassy in new delhi they said you dont need visa if you going through delhi/south korea/new zealand so what i need to do. 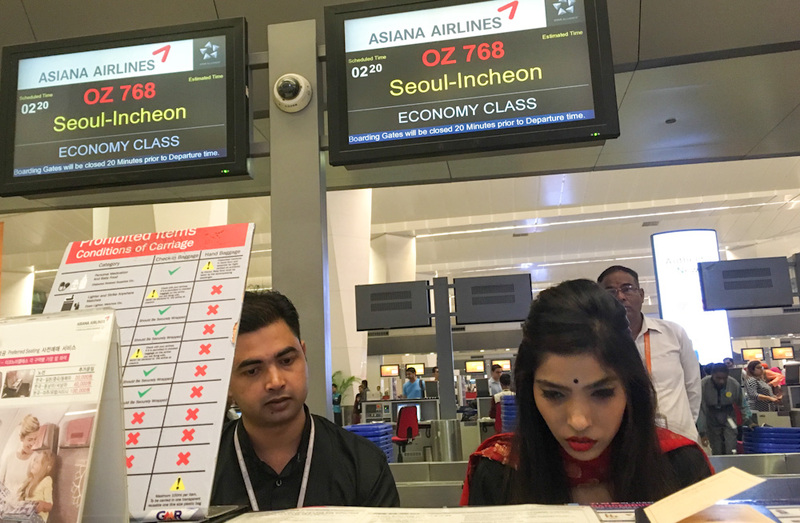 There is a photo in this article from Asiana Airlines’ own system saying that a visa is not needed. Show this to them and ask them again? Well done and thanks for the information !! I am having a Schengen Visa. I am planning to travel to South Korea. I am traveling Chennai-Soth Korea and return South Korea-Dubai-Bratislava. Is I have a stopover in Dubai. But will it be a problem if I travel only to Dubai? I will not travel to Bratislava. I’m planing to visit south korea on my way to India from United states. I’m an indian working in cruise ship with a valid C1D visa and will be flying home from Washington airport. will I be allowed to enter korea with visa? Hi Ashray, thanks for sharing valuable information. I got a question for you. Can I do New York – Seoul – Delhi with Indian passport & without having S Korea visa ot stay for a couple of days like you did. I am a USA green card holder with Indian passport. Would that work for me? I need work permit a south korea my education.high school.my age 42.iam from bangalore india.pls guide me…? 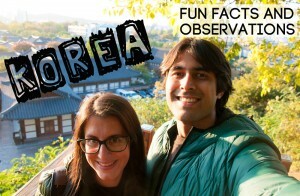 This article is about visiting as a tourist. We don’t have any info about work permits. We can’t provide any advice about work permits. 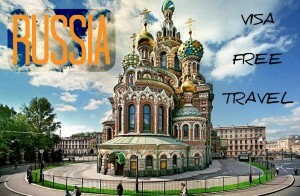 This site is about traveling as a tourist. Hi guys i plan to tour only seoul city for 20 day’s.If you have any genuine information on below points reg SK tourist visa invitation letter,pls comment the full details. 1.Where to purchase SK tourist visa invitation letter for Indian’s ?. 2.What will be the actual cost for visa invitation letter for 20 days tour? 3.Please share the website details. Your best bet is to ask a travel agent. An invitation letter isn’t usually required to visit as a tourist for a short period though. I have valid US visa , and INDIAN passport. Can I use this facility? My main concern is Tokyo-Seoul segment ,where tway air can deny me boarding as mentioned by someone in this forum. Shall I get a Korea visa to be on the safe side? Get a visa if you want to be sure. But, what airline are you flying in on from Tokyo? It greatly depends on whether they are okay with it. Ask them directly. I have come across the following provision regarding 72 hour transit visa, provided you are transiting through Korea to Country of Nationality (in my case India) or third country (I will be going to Tokyo and have 5 year long term VISA), provided you book a transit tour program recognised by Korea Tourism Department/Ministry. I have written to the Embassy but no response yet..
Can you please advise if i can proceed with my plans and book the tour & travel to Seoul for 72 hours. ii. A foreigner who holds a Japanese group visa, participates in the Transit Tourism Program. i. The person must hold an airline ticket for transit within 72 hours. Should be fine if you follow all the requirements as mentioned. Hey had a query, I have a 23hr layover at korea (travelling from USA to India via S. korea), does the same rule apply here? Can i get out of airport without visa? Yes, you should be able to get out if you want. if i will take a flight(malaysian airlines) from bangalore to incheon (which might have a layover for few hours at singapore maybe)…and return back from incheon to bangalore in next week so a total of 2 week trip, will i be needing to apply for a visa or not? Yes, you need a visa in that case. I live in the US. My son on H4 has to travel to South korea (Daegu Science High School) as an exchange student for a week. Does he need a visa or can he travel without any need for a korean visa stamped? He will be coming back directly from South Korea to US. The visa exemption is meant for transit so this means that he should be going to another country and not a US->South Korea->US trip. In your case he’s going to need a visa. Hi, I’m an Indian passport holder but have a NZ resident visa. 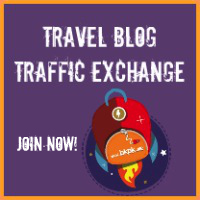 Can I make a roundtrip of NZ – China – SK (10 days) – China – NZ using this exemption? Hi, Thanks a lot for your detailed explanation about the S . Korean Visa requirements for Indians. They are really very helpful. I have a query. I am living and working in Japan. Now I am planning a trip to Delhi via Seoul. I have a 30 hours layover in Seoul plus a airport transfer from GMP to ICN Airport for onward journey to India. So it will be Osaka- GMP- ICN – DEL. I have a valid US B1/B2 visa, have been to UK, Canada, etc on short term business visits as well. I was wondering if I need transit Korean visa for airport change. Any input will be really very helpful. Thanks in advance ! !